Home » Adidas Fans: What Are Your Thoughts On the New Lifter Colorways? 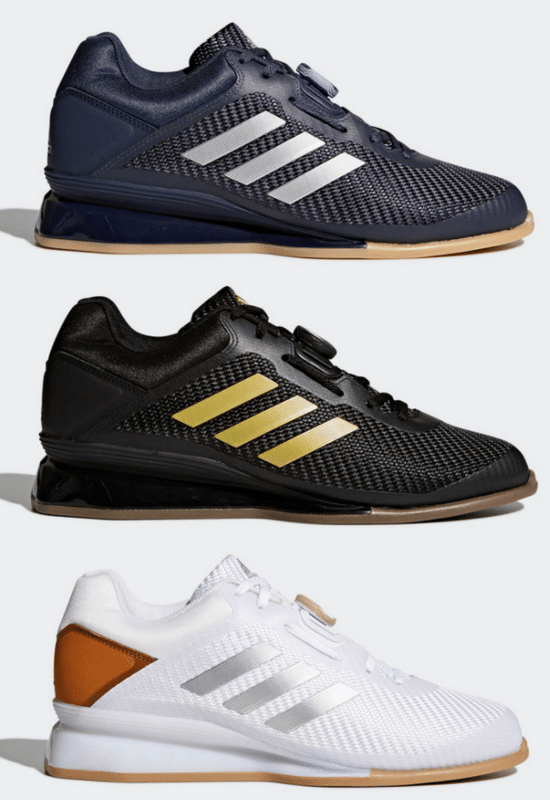 Adidas Fans: What Are Your Thoughts On the New Lifter Colorways? Shoe fans rejoice, because we’re hitting the best part of the year for new shoe models and colorways. Big shoe companies are notorious for releasing their latest shoes and colorways around the holiday season, and Adidas fans can celebrate because they just officially dropped new Adidas Leistung 16 II, Power Perfect 3, and AdiPower colorways. Earlier this year in June, we wrote about speculative colorways for the 2018 Adidas models, and now we can finally confirm which colorways made it. Below include the new colorways for the Adidas Leistung 16 II, Power Perfect 3, and AdiPower models. Last year, one of the common complaints that came along with the release of the Adidas Leistung 16 IIs were the lack of colorways. The original colorway was fully black shoe with a synthetic looking white around the sole. Some athletes liked them, but others thought they looked like plastic. From the new colorways, it appears Adidas listened to what fans had to say, and made some pretty stark changes to how the Adidas Leistung 16 II look. Check out the three new colorways below. From what we can tell, the specs of the shoe all remain the same, and the colorways are the only thing that have been updated. Personally, we’re fans of the less synthetic look and the new gum wrap around the sole. The Adidas Power Perfect 3s also got an update to their current colorways. 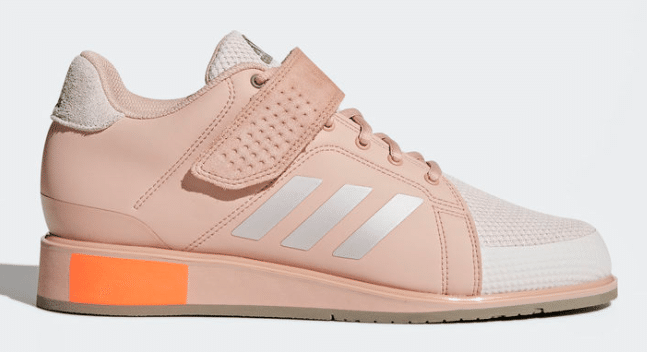 Adidas released this shoe with an updated color scheme titled: Chalk Pearl and Ash Pearl. Check them out below. In addition to the Leistung and Power Perfect 3 models, Adidas also released an exclusive colorway for the popular AdiPower. 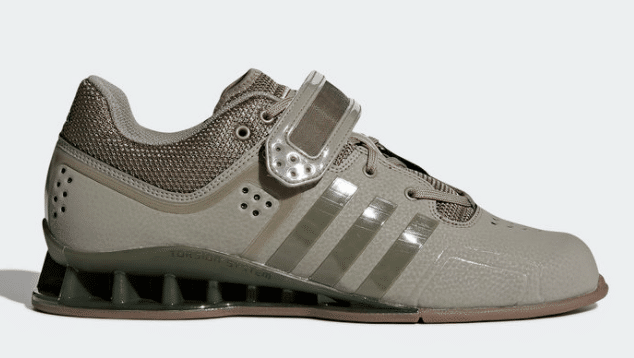 This model tends to be one of Adidas’ most popular weightlifting shoes, and the new colorway features a trace cargo scheme. We’re still unsure if Adidas plans on releasing more colorways as the year continues, but these are a great start to what we can expect.